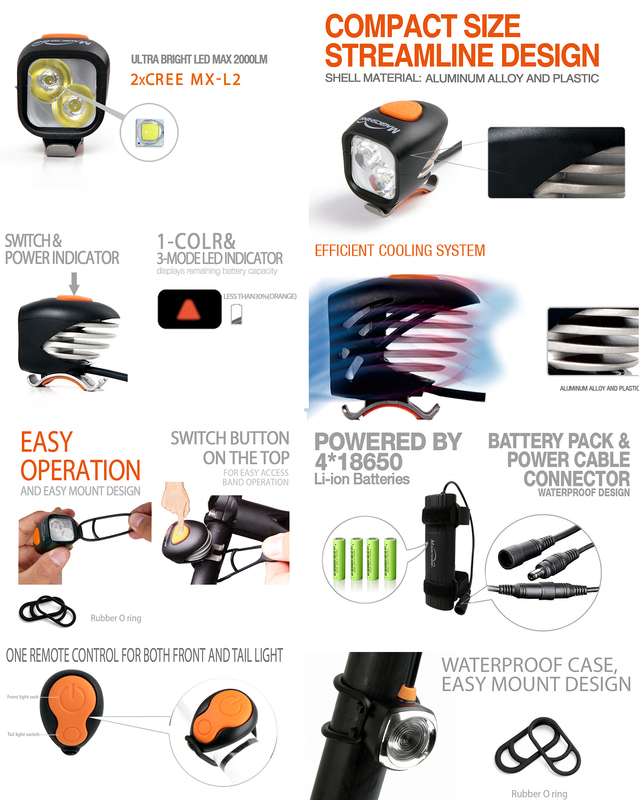 Brand new 1600 max lumen bike light introduced by Magicshine. Provided in a small neat little lighthead with the standard 20 degree beam pattern. 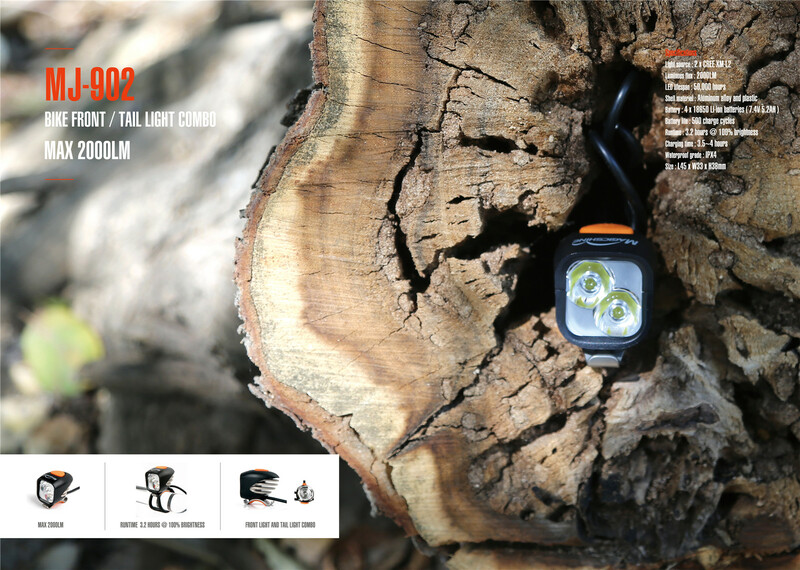 The maximum output of 1600 lumens is powered by 2 CREE XM-L2 LEDs. 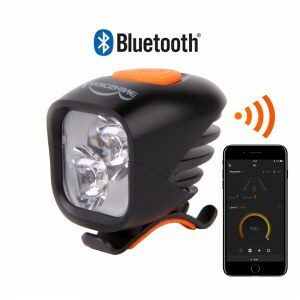 The light can be operated by the 2.4G wireless remote control button or of course the button located on top of the light head. 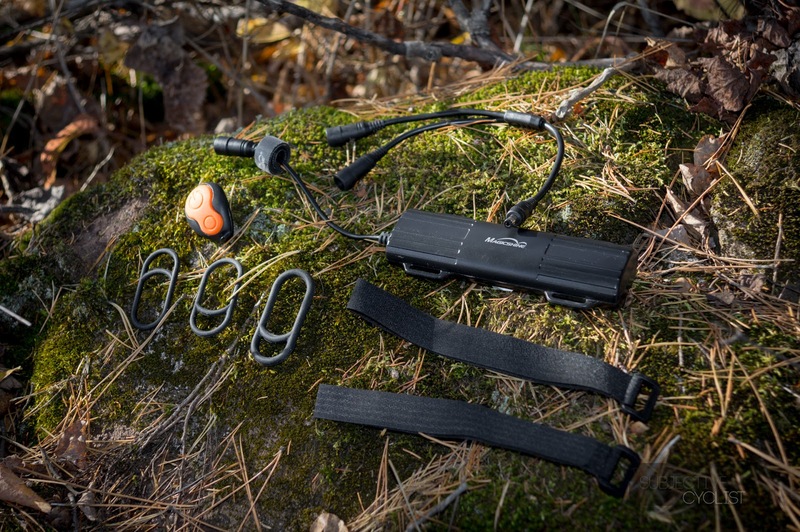 The 5.2Ah 7.4V battery comes in a new, neat, streamlined design which attaches to your frame with nylon straps in two places for a sturdy fit. The rear light is attached using the standard ‘o’ ring system, as does the front light, however the ‘o’ rings have been redesigned to fit two sizes of bar in one. 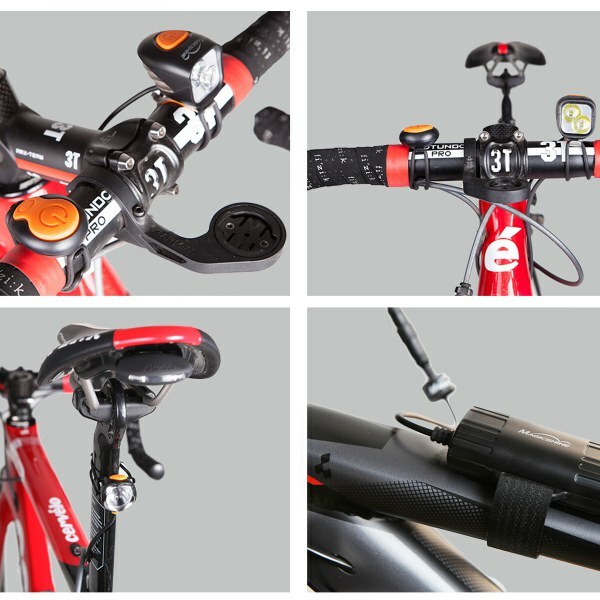 This bicycle headlight and taillight set will be the premium choice for mass majority of our riders. 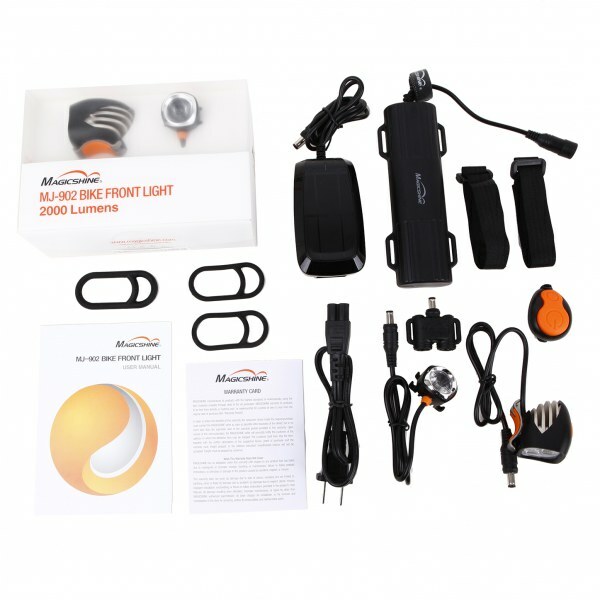 Brand new 1600 max lumen bike light introduced by Magicshine. 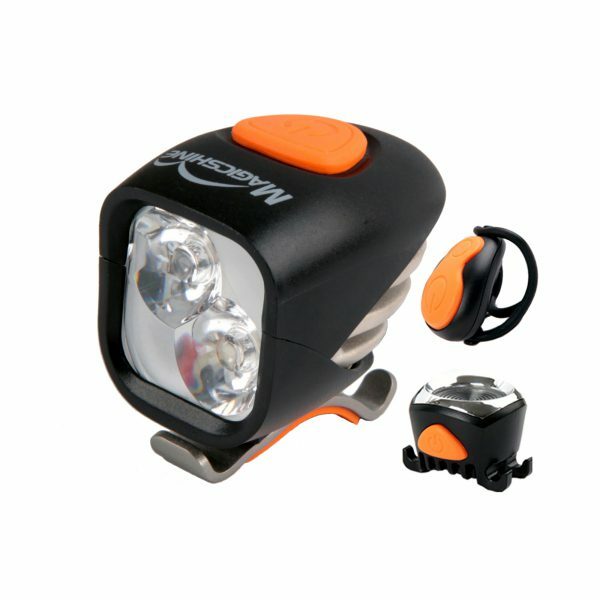 Provided in a small neat little lighthead with the standard 20 degree beam pattern, 3 power modes and a flash mode. 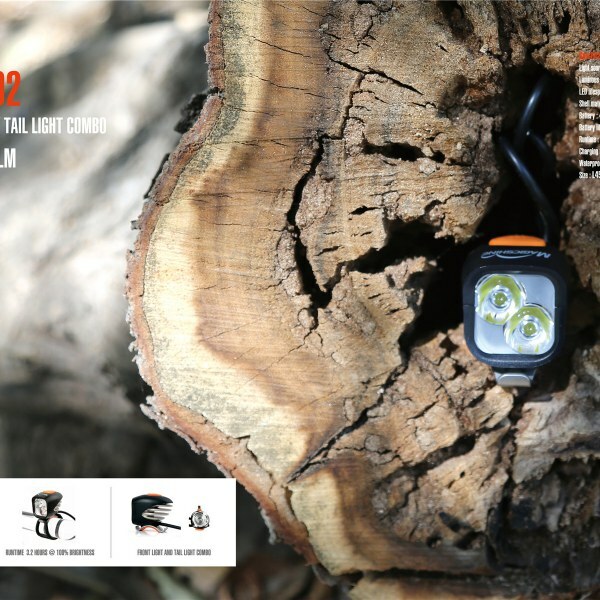 The maximum output of 1600 lumens is powered by 2 CREE XM-L2 LEDs. 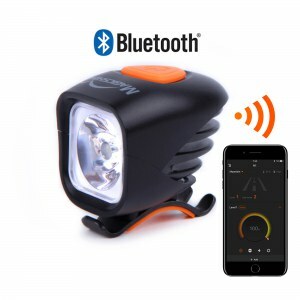 The light can be operated by the 2.4G wireless remote control button or of course the button located on top of the light head. 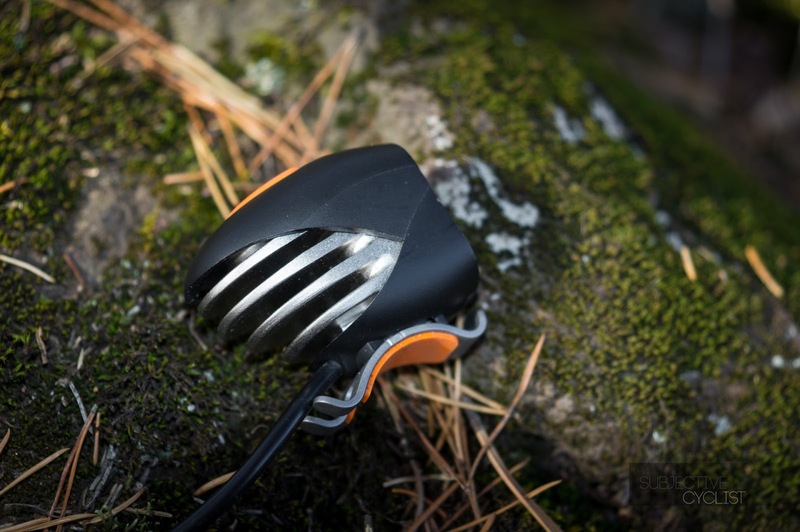 The 5.2Ah 7.4V battery comes in a new, neat, streamlined design which attaches to your frame with nylon straps in two places for a sturdy fit. The rear light is attached using the standard ‘o’ ring system, as does the front light, however the ‘o’ rings have been redesigned to fit two sizes of bar in one. 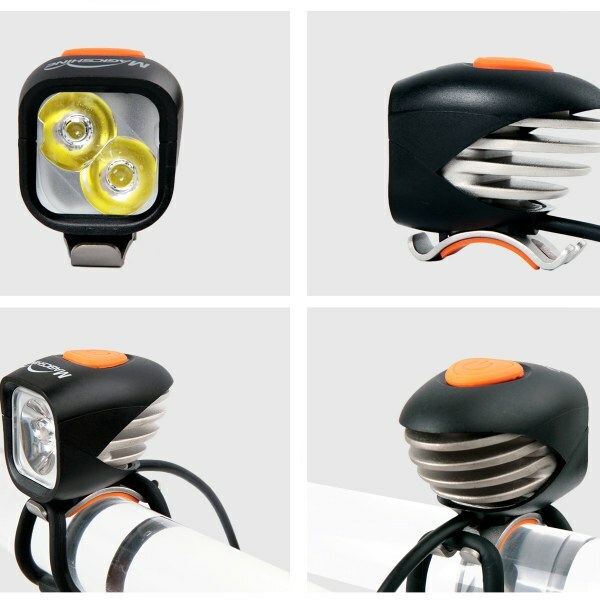 This bicycle headlight and taillight set will be the premium choice for mass majority of our riders whether your preferred style of riding is mountain, road or urban. Newly designed with advanced cooling through thermally managed fins, the Magicshine MJ-902 weighs just 59g plus the battery at 235g makes a total of 294g with a run time of over 12 hours on the lowest setting and just over 3 hours on full power. A newly shaped ‘o’ ring makes mounting this light head to your bars even simpler than before. The battery reverts back to the velcro strap of old, but for such a small ergonomically shaped battery this works perfectly. The MJ-902 comes with a 7.4V 5.2Ah battery as standard. The battery indicator for this light shows red once the battery is below 30% charge. Please note, it does not use the same system as our other lights by turning through the color changes to indicate 75%, 50% and 25% useage. The MJ-902 makes use of four power levels 100%, 50% 30% and a flashing mode. 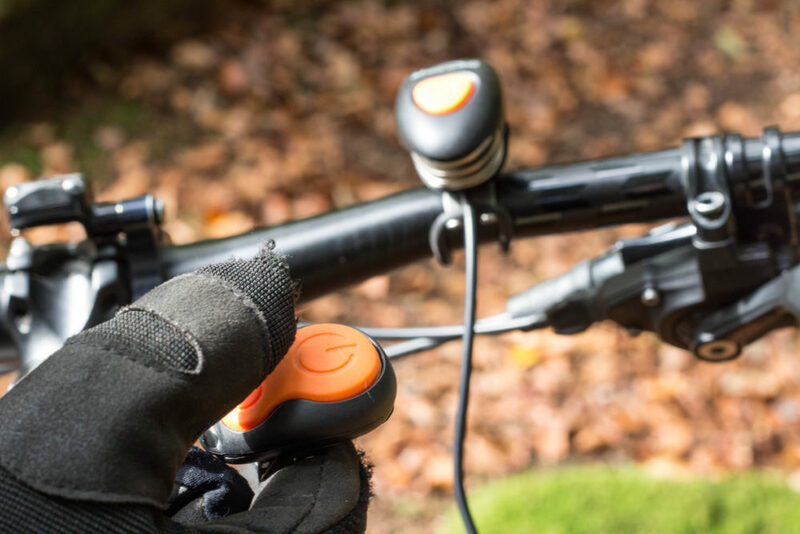 These power options are chosen by pressing the button on top of the lighthead and each option is scrolled through including the off position before cycling back to 100%. Wireless remote switch can be mounted for easy access on any bar and allows you to change modes for changing conditions or to dim the light for oncoming traffic. The standard 7.4V 5.2Ah battery will give a maximum run time of 3 hours on full power, with over 4.5 hours on 50% power going right up to 12.3 hours on 30% of power output. The Magicshine MJ-902 has a beam angle of 20 degrees, so slightly wider than the MJ-858, with a thoroughly decent beam throw that much higher priced lights would be envious of. A great little light for the road. 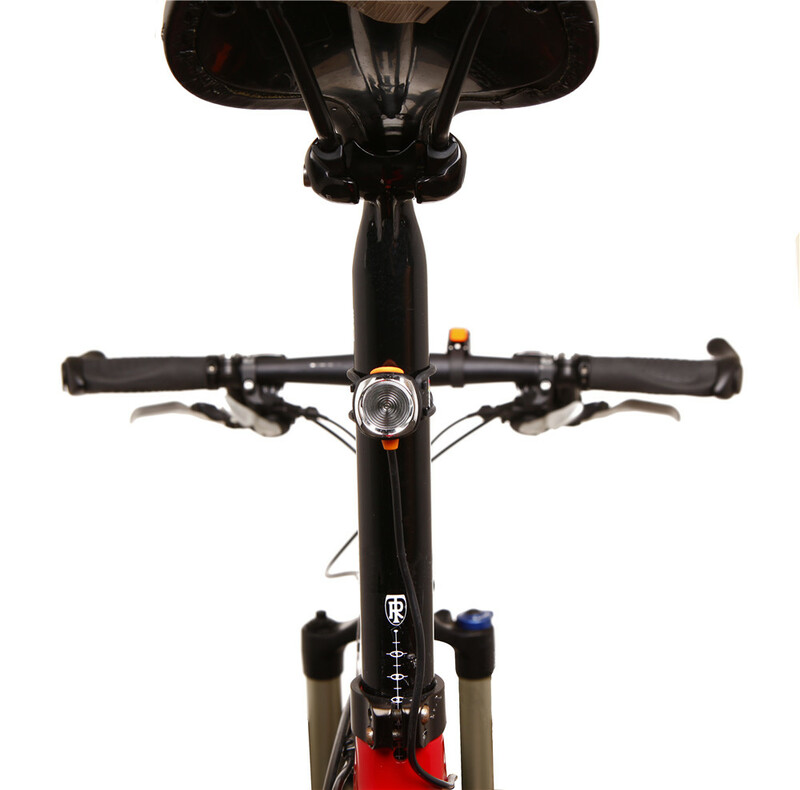 I ride a recumbent (Catrike 700) and when commuting in the dark have always had an issue with my light: Specifically the light is down past my feet in front of me (where it doesn’t reflect off the tops of my shoes) and I can’t adjust the setting while I’m in motion. Since my commute has a mixture of incredibly dark roads through Washington Park and brightly lit paths/streets I’d always just chosen a setting that was a compromise between being able to see far ahead and not blinding oncoming cyclists on the Hwy26 bike path. With the wireless remote on this guy, that’s a thing of the past, I hit the high beam on my fast descents, dim the light for oncoming cyclists on the path and drop the brightness through town. It’s wonderful. The Hi setting gives me plenty of visiblity for the dark roads, even at 25+mph, the beam has a nice spread to it (though, like all non-StVZO lights it spills a bit much upward). Also, I love the new 2W x 2L battery pack (as opposed to the old 2Wx2H) it has a much lower profile on the frame, it feels more secure than the other battery packs I’ve had and I think the hardshell will protect it better. Also, Magicshine connectors are far more water proof than the knock-off light connectors. Great light, remote is perfect! The light is awesome. Took it night riding tonight and it worked great . Extremely bright light! Has been rained on and used 3-4 days days a week for almost a year and still works. The gate guards have commented multiple times that I look like a motorcyclist pulling up to the gate at my work. My only gripe is there is really no indication as to battery level while attached to the bike or charging and the battery has died on me while away from home. Does not happen often because I am generally conservative about charging it nightly, but it would save me a hassle if there was a battery remaining indicator. 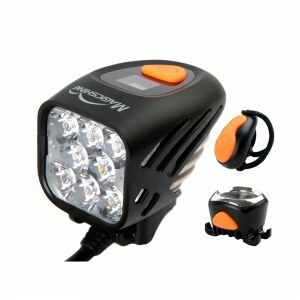 This is the best bike light that I have used in a combination of front /back lights for night riding and safety. Great value for the money! To say the least, this light is bright. I bought this light for my girlfriends mountain bike as we are out past dark quite often. This light would work best as a helmate light as it is very tiny and light weight. The battery has lasted well longer than our night rides. I will be buying magicshine lights in the future as I do believe it is the greatest value out there. Yea, there are many many cheaper lights on amazon that claim the same light output and are bright. But, I am telling you, don’t waste your money! Those lights are always bluish and usually a spot beam, which makes it hard to use off road. Oh, and the red light it comes with is a nice touch! Light was recommended to be by another cyclist… Easy to setup on bike (smaller than I expected).. battery placement made me try several places before I felt satisfied… Front light throws plenty of distance in the dark. seen some drivers put hand to mirror due to brightness when I come up behind them… Flashing mode works well in daylight.. haven’t had anyone try to pull out on me since I started using.. recharge of battery is not long.. though have not run it to being full discharged… 3 hours on (front and rear full on) and not fully discharged..
Really nice light, super bright for the size. tail light is great too, but don’y really need it and don’t want to draw on the battery. Great light, it is bright enough that I normally ride with it on medium. I have had it for about a year now and the battery still lasts long enough that I can complete 3 and a half hours and still have power left. Remote is nice in that it allows me to cycle through the light settings without moving my hand from the bars. My only complaint is that the remote just allows one to cycle through the light settings, it would have been useful to have it allow one to easily switch from low-med-high perhaps with a rocker. 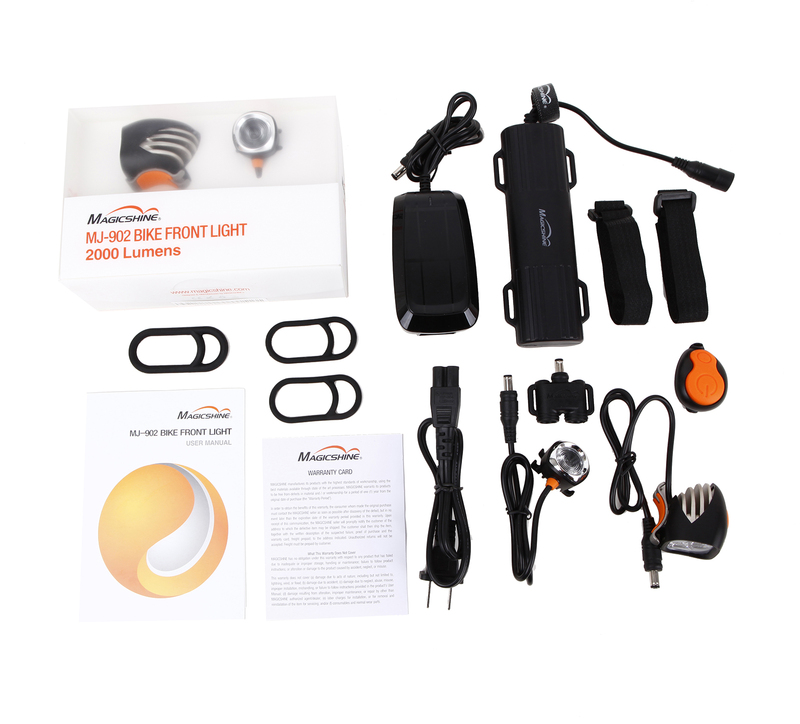 In any case I liked the light and the great run time so much I have purchased another light from MagicShine. 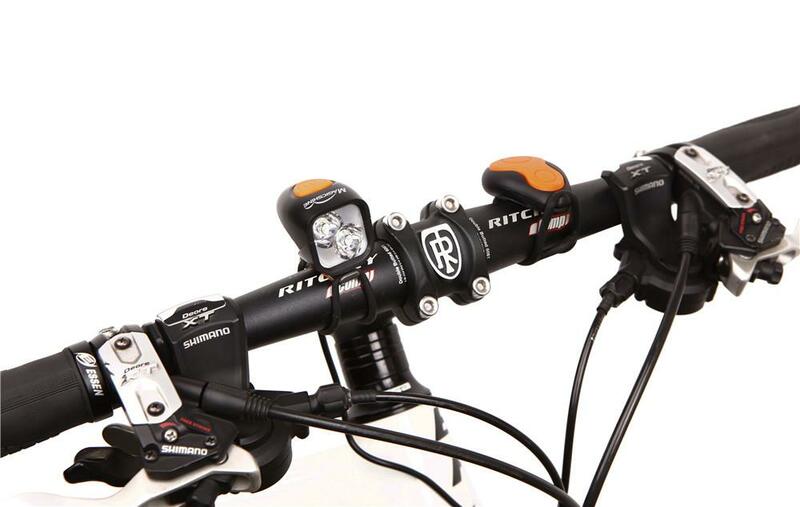 Other lights I have owned, trinewt from nitrider, Bontrager Ion 800 R, and Cygolite Expilion 750 USB. So far I have liked the Magicshine MJ-902 the best. I do about six hours of night riding a week in the winter. Went out last night for the first time and have to say I was really impressed with this little light. 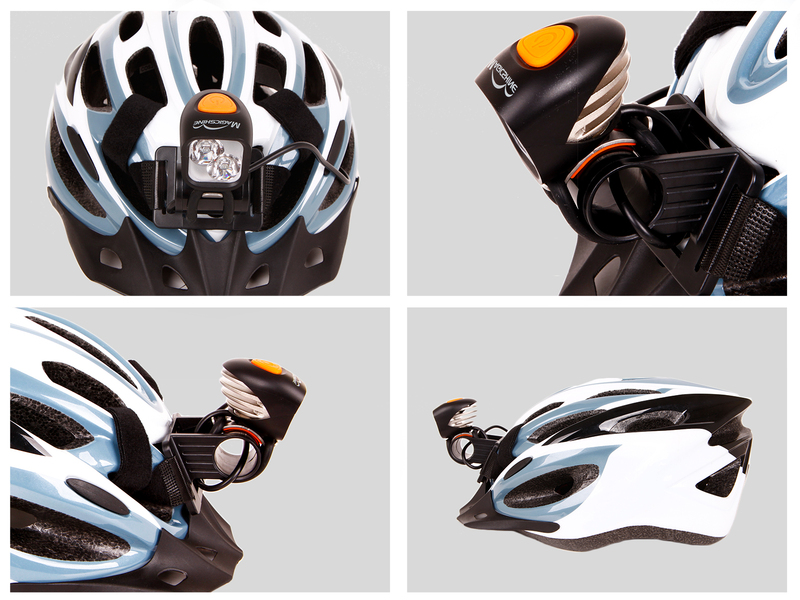 My previous helmet light was an ebay 5000 lumen single light, which I have always found adequate. However, the battery life was maximum an hour or so on full and I always worried about charging it in the house in case it caught fire! 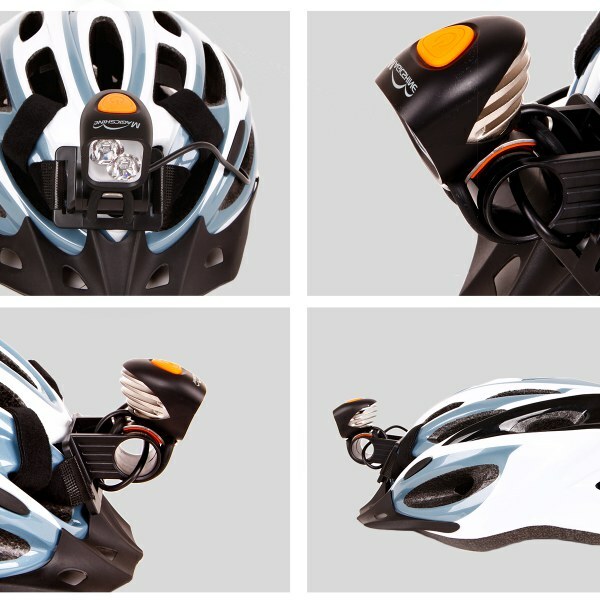 I bought this to put on my helmet so I also bought an additional extension cable so it could reach my camelback. So, first impressions are that it is tiny, very light and really well made, everything about it just feels quality and because it is so small you can hardly feel it on your helmet. Out on the trail the difference in the light compared to my ebay one is incredible. To be honest I would be surprised if the ebay one was actually 500 lumen let alone 5000! 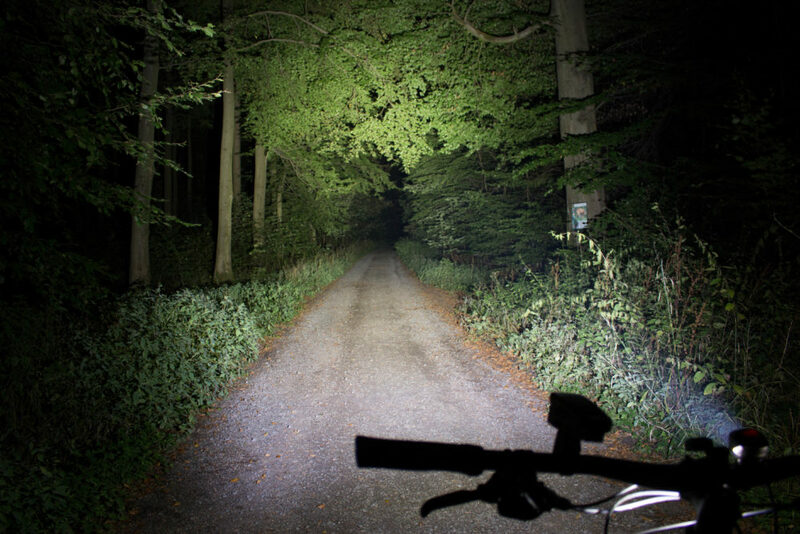 This is obviously 2000 lumen and I found myself riding much faster as I could see so much more, in fact almost crashed a couple of times but loved it. The rear light is about the size of a 10p but gives off a fantastic bright light. Both lights have 4 modes from full to flashing. Would highly recommend this. Magicshine is the best. 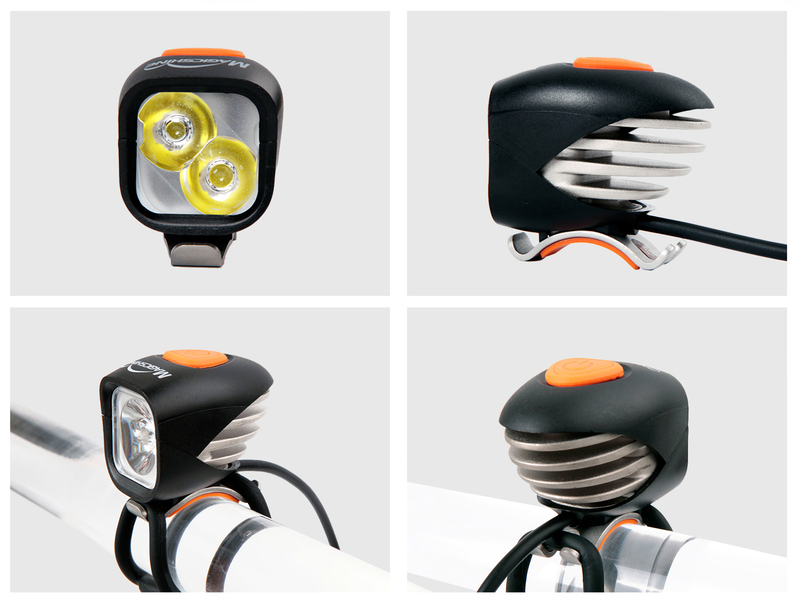 Incredible amount of light (Lumens) for such a small superior quality package. Excellent beam pattern with great ergonomics. 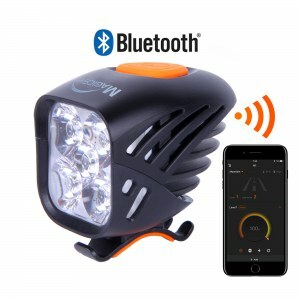 Purchased for night mountain bike riding and works great. Very bright and easy to setup on bike. Had an issue with defective wireless remote – contacted Magicshine and they shipped me out another one right away. After many years of not riding. I bought an E Bike. Wow what a new world for me. Goes great and I never worry about getting home if the wind changes. 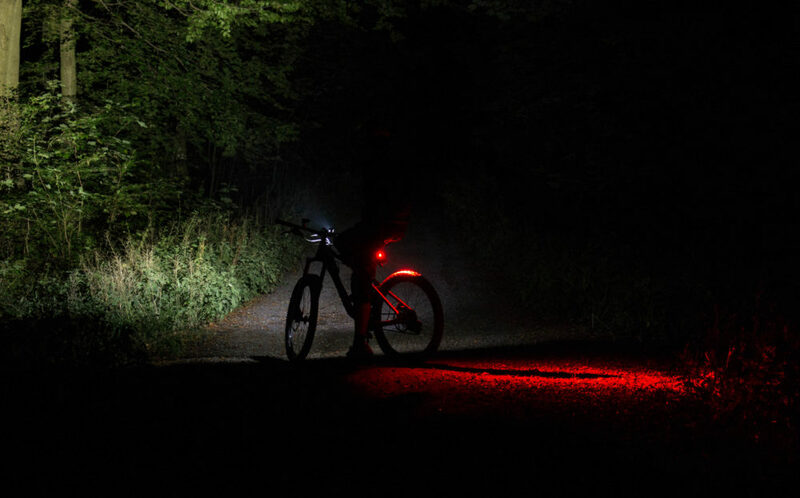 The most important thing on this new bike was night riding, as I enjoy the ride in the cooler summer evenings, but the $30.00 light that I bought, even with the light that came on this $2500.00 E bike were not nearly bright enough for my comfort level needed at night. 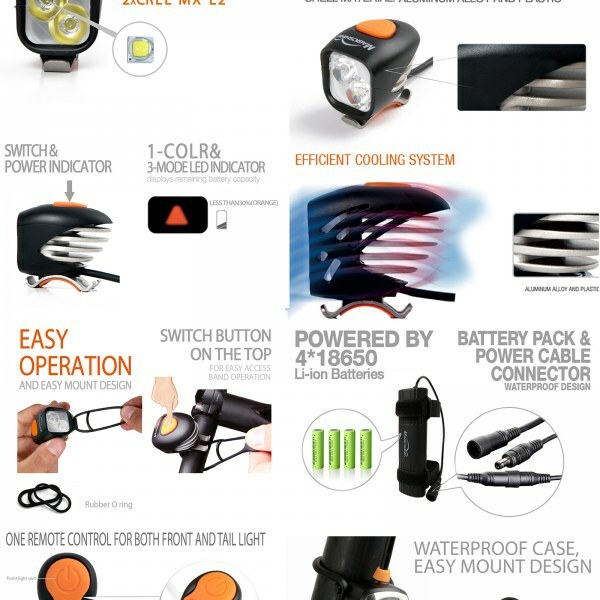 I shopped on Amazon and found that bike lights can cost as much as $500.00. Too much for a casual rider, but $112.00 didnt seem so crazy, plus amazons return policy makes it easy to try something new. This light is just perfect. As bright as a car headlight and as small as a golf ball. ; I am as happy as can be at night now. I can see clearly in front, plus I have put about 6 little different color flashing lights all around the bike to be noticed, maybe too much, but even the Pizza delivery kid in the neighborhood stopped completely before passing me in the dark. Mission accomplished. Love this light! Tiny but mighty! And easy to put on and take off. First off, this light is extremely bright! It is almost hard to believe that the unit itself is so compact. The unit feels very solid and sits on the handlebar quite well without moving around. 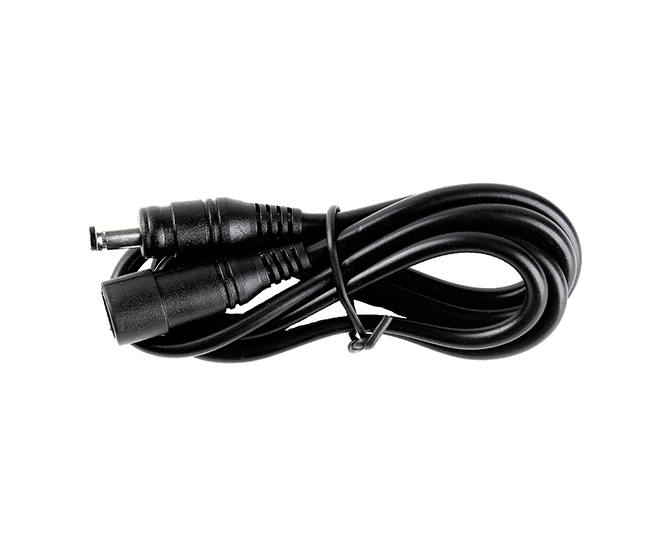 The power cords that come with the unit are sufficient in length allowing the battery to be easily mounted on the bike’s top tube. The only minor compliant that I have is the remote unit. It too is very solid and not flimsy but, it does not sit too well on 31.8 mm handlebars. 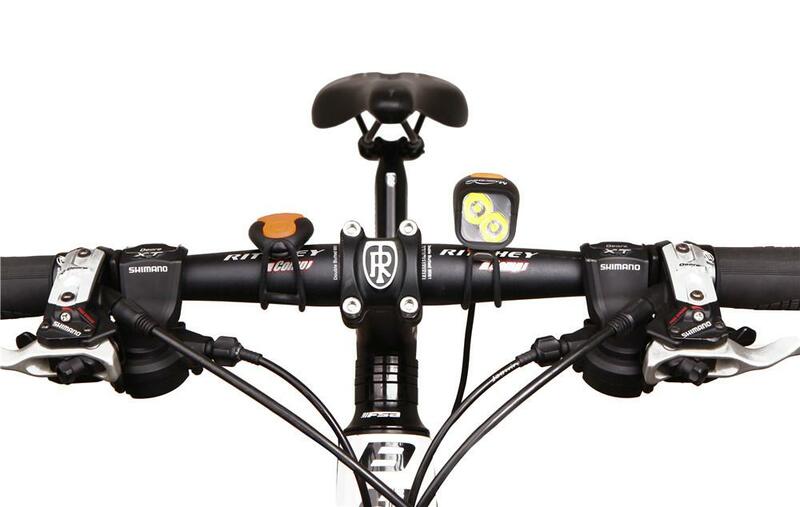 It is fairly secure, but the radius on the back of the remote does not match the handlebar’s radius. However, it really is a minor thing. This is a fantastic light for the price. 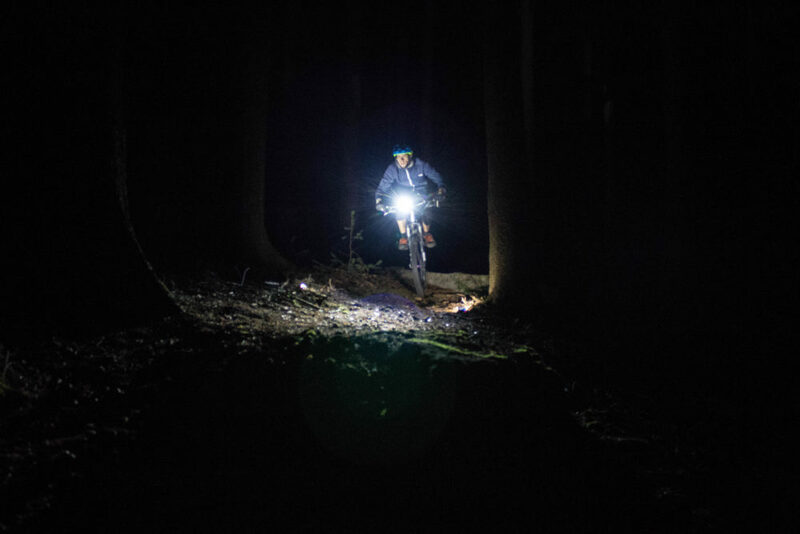 You are probably like me looking everywhere for that perfect light for you handle bar for mountain biking night riding. This is exactly what you are looking for. This light is so perfect in all it aspect. I expend many hours searching for the right light for my handle bar and this is so far the best option you can get for the value. This light is well made and easy to install and come with all hardware needed for installation. *This lights brightness cover a great wide angle and goes far away as well. *Longevity on battery time. Mostly of my rides are 2 – 3 Hours and this battery had never die on me yet. *Super Bright, that even in low and medium you can be able to see everything. I use it on medium mostly of the time depend on the darkness of the trail. *Water resistance and mud. I have rode a night while drizzling and raining and it still like new. *Extra rear red light with 3 mode, Steady, normal blinking and fast pace blinking. *Heatsink seen to done a great job, I have touched the light after couple hours of working condition and is cool. 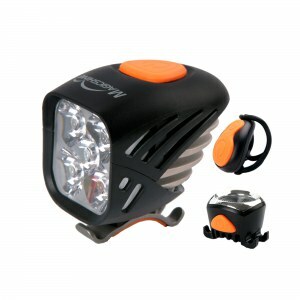 *All hardware is included with 2 extra mount rubber, battery charger and the extra rear flash light I mentioned before. 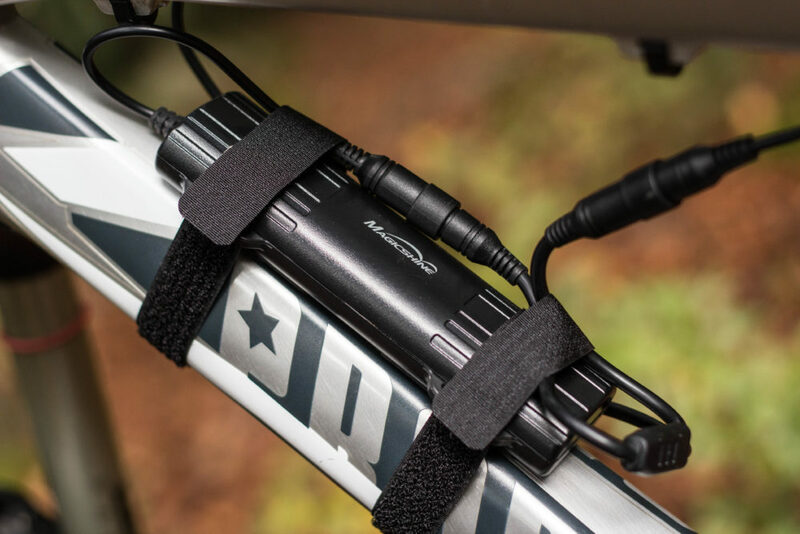 *The Battery strap are pretty strong and hold my battery pretty well on my bike. *Battery seen to be a little big but that’s why you get all that hours of powers. 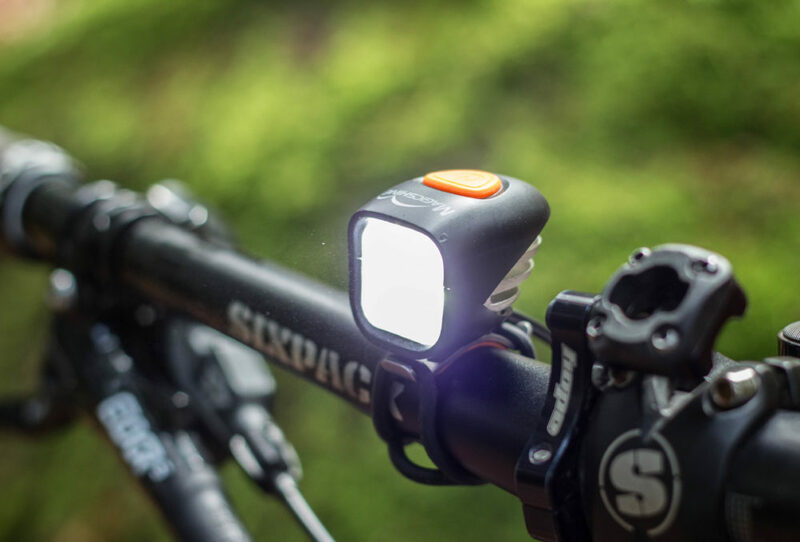 *This is exactly what you need for your mtb night riding. Great light and battery life! 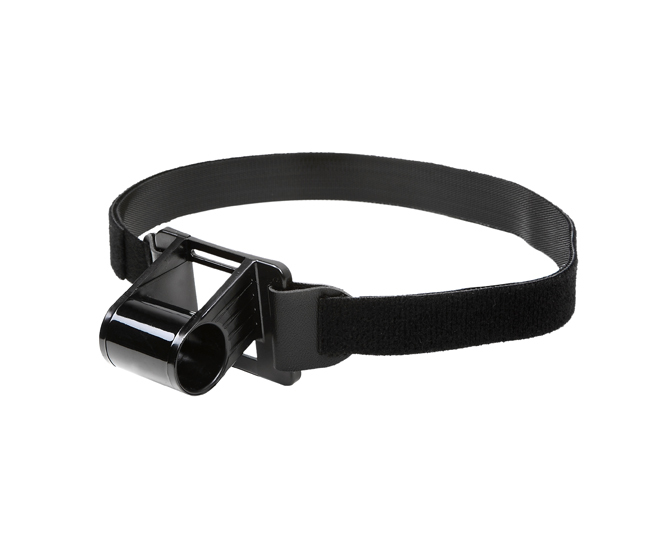 I purchased this for my husband to use during his night rides. It is great quality with high resolution!! He has had issues with previous lights, the battery life not lasting but this one has outlasted other brands so far. Definitely worth the money. Love the light, this the third light I have purchase By Magicshine. I have a set for each of my bikes. This is for my street bike. Just wish they all came with cases or bags to keep all the parts in. 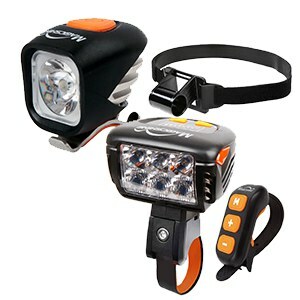 So far I have used them on streets and bike trails, love the lights. They have multiple settings which makes the light versatile. Operates well in the rain. Easy to install and remove. 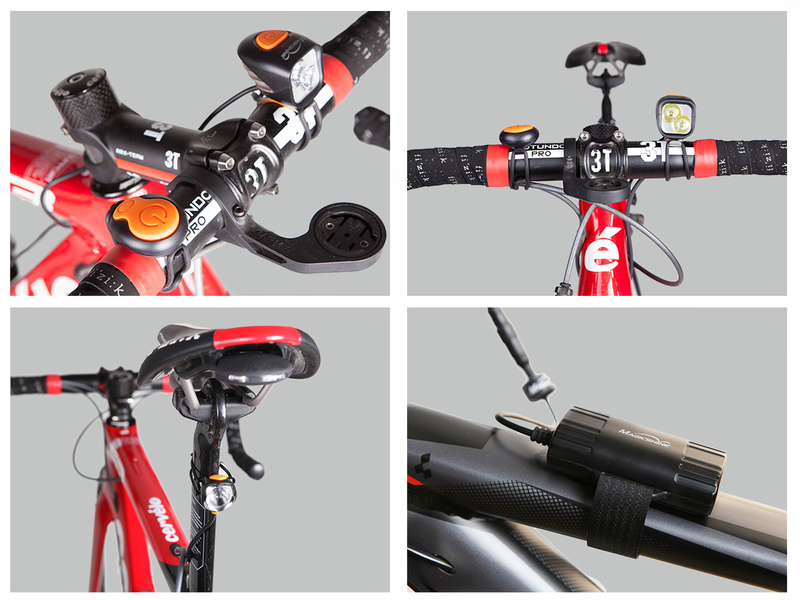 This light set makes it easy to control the front and tail light with one switch system as you ride. A Yes, you will need to remove the 3 small screws on the back of the remote. Switching out the battery is relatively straight forward. A It should be fine in the rain as IPX4 means splash proof. A No, the battery can only be charged via the wall charger.